Which aircraft have Wi-Fi, and how much does it cost? If you’re 30,000 feet in the air, your ability to keep up with Facebook drama, cat videos and Patreon causes you (ahem) firmly believe in depends on whether your aircraft offers inflight connectivity. In the case of Singapore Airlines, that connectivity can come from Wi-Fi or Data Roaming. In this post, I’ll explain the different options and how much they cost. Generic photo of woman using laptop in pantsuit in bed. As people are wont to do. 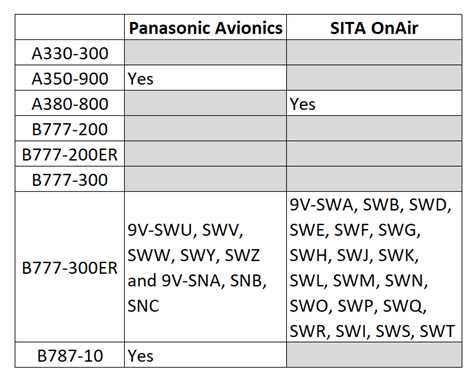 Once upon a time, it was an important distinction whether your aircraft was Panasonic-equipped or OnAir-equipped. Why? Because Panasonic plans were time-based, and OnAir plans were volume-based. That’s to say, OnAir limited you to a certain amount of data, whereas you could surf to your heart’s content with Panasonic. Louis has done a rather unscientific testing of inflight Wi-Fi speeds which you can read about here. In February, Singapore Airlines announced that passengers in Suites, First and Business Class passengers and PPS Club members would receive a complimentary Wi-Fi session on Airbus A350, A380, Boeing 777-300ER and 787-10 aircraft. This allowance is granted per sector, so if you’re flying SIN-HKG-SFO, you’ll get one allowance on the SIN-HKG leg and another on the HKG-SFO leg. Allowances don’t stack, so a PPS Club member in First Class will get 100MB, not 100MB + 30MB. If you hold a Citi Prestige, you’ll have access to Boingo Wi-Fi which includes inflight access on selected airlines including Panasonic-equipped Singapore Airlines aircraft. There are recent reports in the Telegram Group that Boingo accounts obtained through Citi Prestige have not been able to access Wi-Fi on SQ-operated flights. Do sound off if you’ve been on a flight recently. In addition to Wi-Fi, you can also get data connectivity through your cellphone. Singapore Airlines aircraft with Wi-Fi will also have cell service provided through either OnAir or AeroMobile. In order to use this service, you need to turn on the data roaming feature on your phone. It’s worth noting that the aircraft in SQ’s fleet without Wi-Fi are the ones which are being retired/returned to lessors anyway, and eventually we’ll be in a situation where all of SQ’s widebody fleet has connectivity. The quality of your connection is highly dependent on weather conditions, location and assorted gremlins, but if your experience is so bad that you can’t use your allowance it’s well worth writing in to customer service because they’ve been known to do refunds in some instances. Hi, I believe there’s something wrong with the table at the very beginning on the 777-300ER wifi provider. Its the other way round. Would advise you not to rely on it. Does anyone know if M1 Data Passport covers Aircraft Satellite (OnAir/AeroMobile) data roaming? Or is it purely pay-per-use? 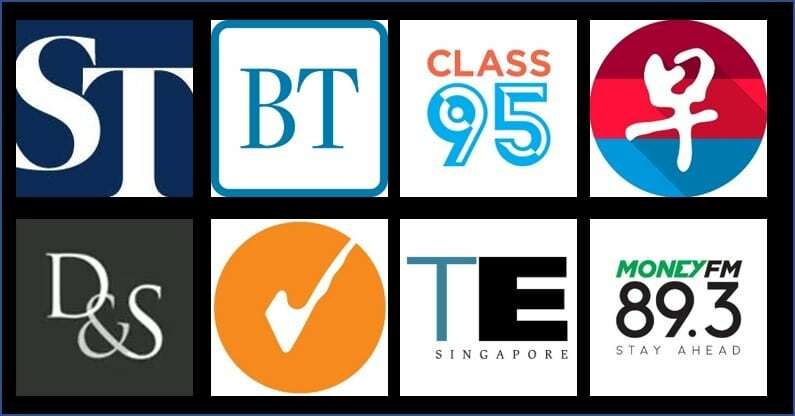 Do the telcos’ plans go by sector also or are they for 24 hours, even going across flights? AMEX Boingo accounts no longer work inflight. 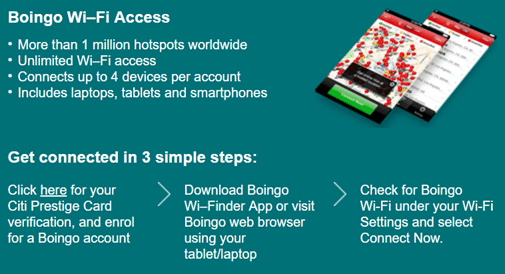 I confirmed with Boingo directly that AMEX accounts are NOT eligible for inflight WIFI access. My experience has been that when Boingo is available on SQ flights, my AMEX issued one had never worked, and only Citi Prestige’s issued one worked, but only limited to 1 device at a time. I’ve been using Boingo via Citi Prestige.. connectivity has been.. well.. best described as being patchy.. but given that it’s free-of-charge, it’s hard to grumble about it.. I would certainly be less-okay with it if I was paying, but under the circumstances, and given it’s not business-critical for me, I’m okay with it.. works tho.. even if you need to ‘keep trying’ o get on..
Any experience with iPass and/or Boing offered with HSBC Premier? I was on SIN-PVG-SIN J A380 last week. Outbound flight was able to connect via my iPhone6 and get the complimentary 30MB, but when the inbound flight was no luck to get the complimentary via the same iPhone6. Even reset the iphone6 does not help. At the end, I have to use my iPad to get the compliementary 30MB. Not sure if the same aircraft has locked down the MAC address of the phone and can’t let you re-login again after the 30MB has been fully consumed unless you purchase a price plan? I once flew A380 SIN>AKL w patchy connectivity, AKL>SIN w zero connectivity.. then A380 SIN>CDG w mostly ok connectivity.. A359 BCN>SIN also ok..
Citi Prestige Boingo working quite well throughout the flight.